Hello readers, I have used the exact same daily moisturizer with SPF50 protection in the summer for the past 4 years. I used to use the one by the brand Alpha-H. I have already done a quick review of it on this blog last year, HERE. The only way I can get it is online so this year I wanted to find something I could buy directly at a boutique. 1-I will use it everyday so it has to feel on my skin like a moisturizer. It has to feel light and be able to get absorbed into my skin. 2-I have combination skin so it should not make my skin looks earlier. In a perfect world it should matify my skin. 3-It should not cause me breakout or irritation as the composition of many sunscreens tend to do on sensitive skin like mine. 4-Last but not least it should be 100% invisible. Is it too much to ask? I don't think so when you know the price of many of those creams. Because I am familiar with the brand Kiehl's and because I love most of their products I decided to try their cream first. Furthermore I have read great reviews about it. The good thing is that I did not get any bad skin reactions from it, it has almost no smell and it feels like a moisturizer when you apply it at first. Ok, I did say at first because when it is time to make the cream sink into your skin you realize how complicated it gets. There is always some of the cream that sits on top of your skin. I had read many reviews saying that it is light and gives a matte finish. Well, pardon me ??? Ok it is not thick, but it is not light ever and on my combination skin type it gave me a greassy look after 30 min of wear; not matte at all that is for sure. The last issue is that it gives a weird skin tone to my face and not even my fondation can improve that. As the product junkie that I am; I quickly went back to the store to find the perfect cream and ended up bying the one from Clinique. The good surprise this time is that this cream is actually really light, it has almost no smell and it gives you a true matte finish. 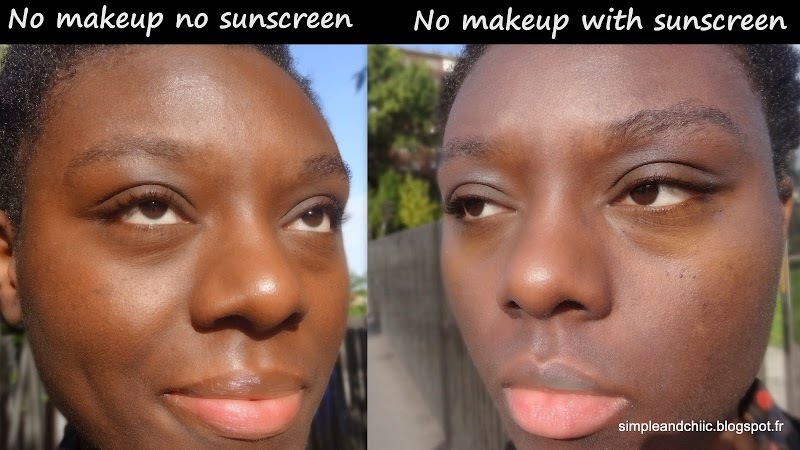 It even allowed me to keep my foundation longer. The cream is not white but it is tinted (light beige). The bad thing is that if you try to apply other layers it will sit on top of your skin. Once again it does not sink into your skin. Once again it gives me a ashy skin tone. And last but not least it broke me out like crazy. But once again I have a skin that is very sensitive to skin care ingretients, that may not be the case for you. I know that it is difficult to find a good cream with a high sun protection that is why I stuck for so long with the same brand; Alpha-H. But honnestly I did not expect to get such bad reslts especially from 2 well-known brands that I know and appreciate. But they are so bad to me that I am not able to finish up the container. That what we call "a waiste of money"
If you have ever tried those products, please let me know what is your opinion. 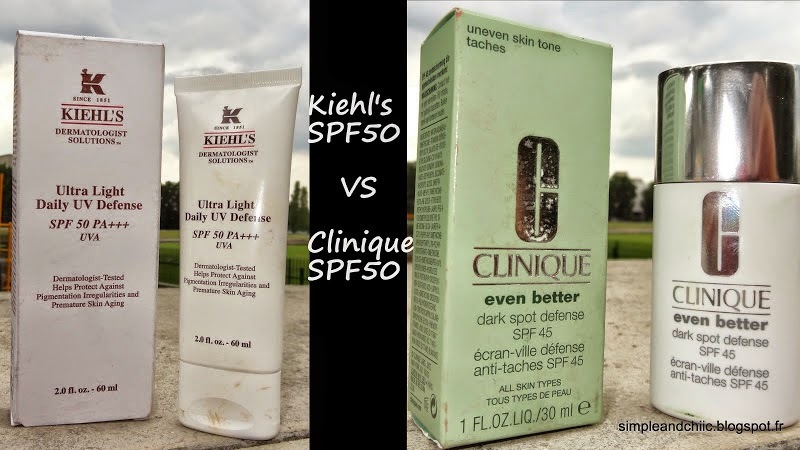 You can read HERE a quick review I made last summer of the daily sun protection of SPF50 from ALpha-H and understand how a daily sun protection can help you maintain a beautiful and healthy skin.